Do you want the feel of a German Pub in Oktoberfest without having to travel out of the country? Well lads now you can! 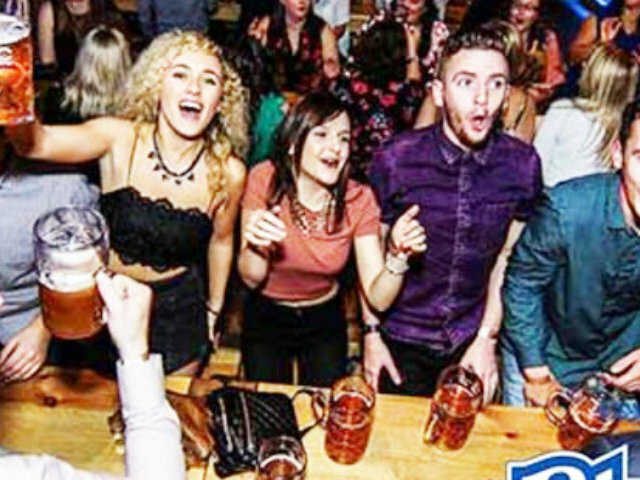 When you think of activities for your stag weekend you’ll obviously be thinking beer, beer and more beer so the Bierkeller show stag do with be the ideal activity for you and the lads to enjoy. It’s a great way to spend your night and it’s the perfect opportunity to get all the lads involved in an evening of fun, banter and booze. 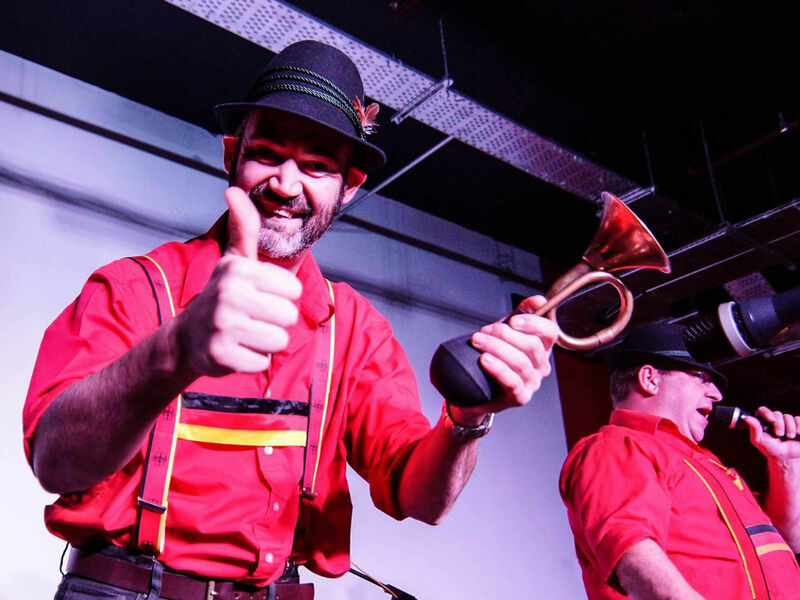 With the Bierkeller show stag do you’ll have reserved seating, large steins of beer, table service, large pretzels and a live performance from the Bavarian Stompers Oompah band. Perfect way to start the night are we right? 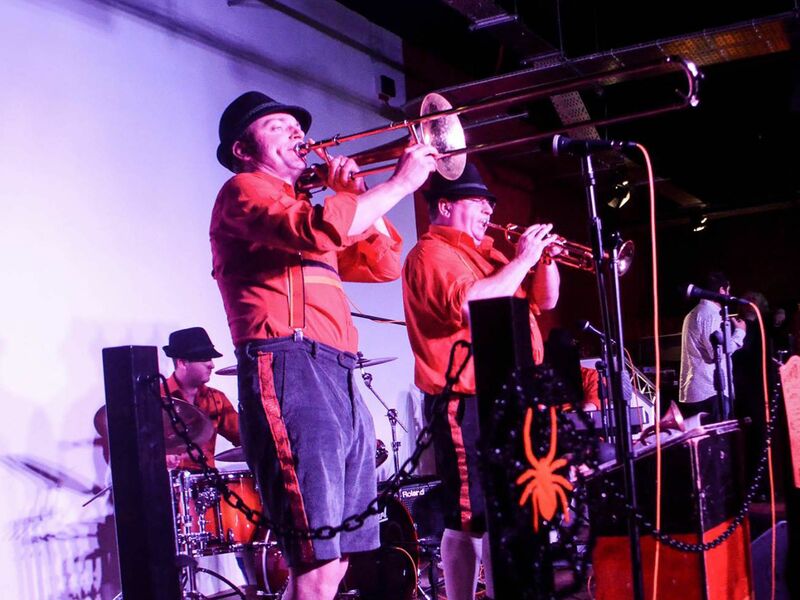 The Amazing Bavarian Stompers occupy the unique position of being the first British comedy Oompah band to appear at a major German bier festival. The Bavarian Stompers reputation of being the best Oompah band in Britain is well founded just ask the Germans. Your evening will start from 7pm where you and the lads will be shown to your seats and by 7.30pm the lovely waiters and waitresses will be introduced to you. 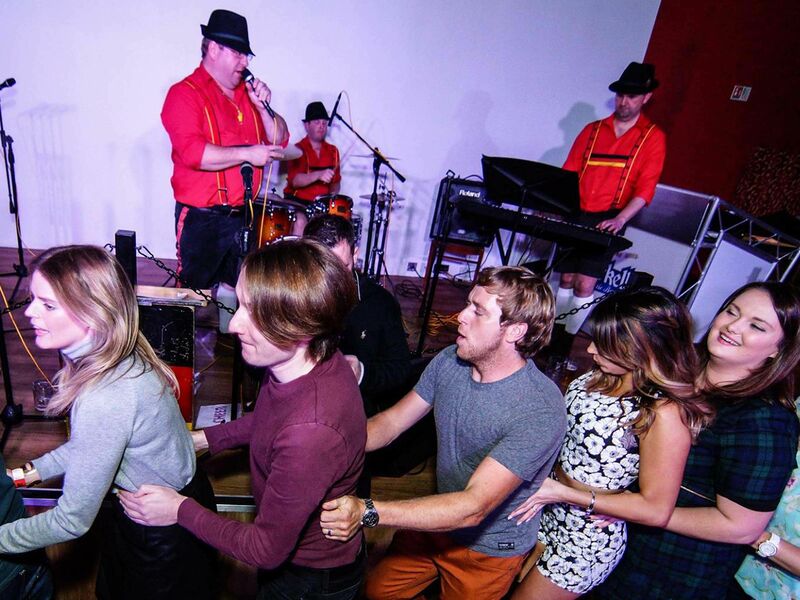 By this time everyone will have a stein of beer or cocktails in hand and will be preparing for the LIVE Oompah band with more music, party spirit games and some competitions to ensure a vibrant atmosphere is created. At 9pm you will have had some toasts and will be ready for the Oompah band to begin. 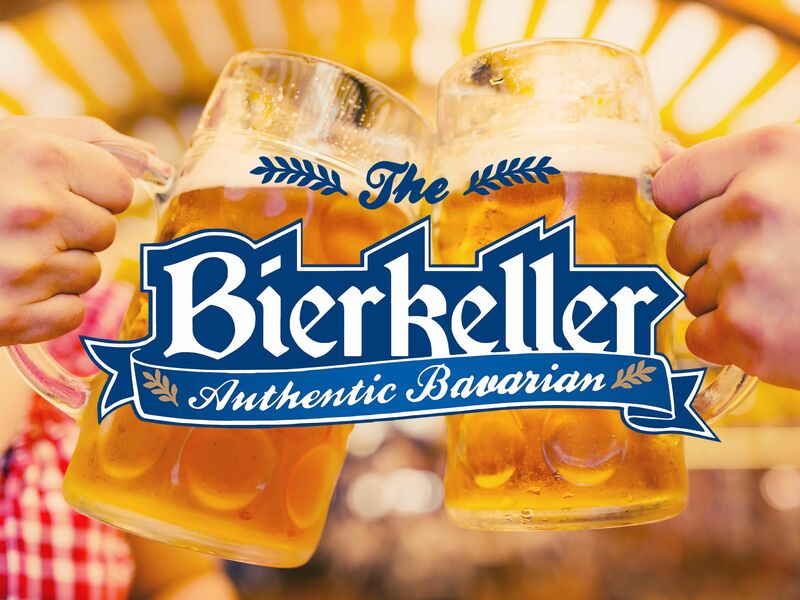 You’ll be guaranteed the time of your life as the Bavarian Stompers take you on a journey through the Bierkeller of Germany with their amazing live show. And don’t you worry, when the band ends it doesn’t mean the party stops there too. 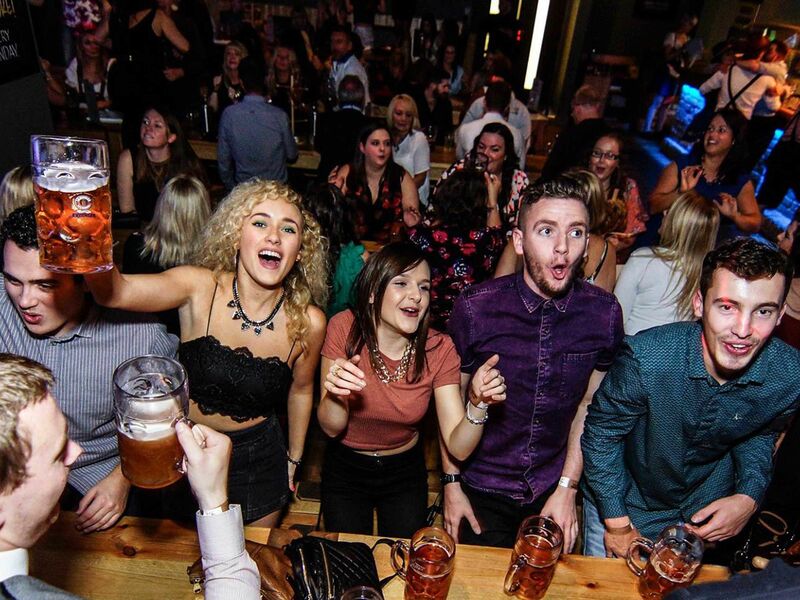 Party music, shot girls, some amazing music and audience participation keeps us in the land of Oktoberfest with a resident DJ and trust us, you’ll wish you could stay there.